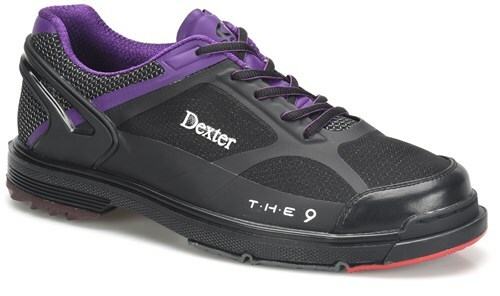 Dexter THE 9 takes bowling shoes to a whole new level. THE stands for Toehold Hyperflex Engineering which increases the flexibility and durability of the shoe. THE 9 HT LE is a limited edition color option. This shoe boasts a list of high performance features starting with stitchless, breathable uppers. This shoe has a lot to offer, starting at the toe and going all the way to the heel. Are these available in wide width? At this time, they are not available in a wide width. Does the shoe run true to size or not? Do they fit the same as the sst 8s? what would be the sizing for a ladies size 9? You would probably want to get two sizes smaller. So you would want to go with a size 7 in mens. Due to the time it takes to produce the Dexter Mens THE 9 HT LE Black/Purple Right Hand or Left Hand ball it will ship in immediately. We cannot ship this ball outside the United States.